Kino Alyse is a very successful photographer who is based in Rome. She had been published by numerous agencies, among them National Geographic. WeExpats touched base with Kino Alyse to get her insights on living abroad and the traveling expat lifestyle. I am originally from Denver, Colorado. What don’t I like! It’s a lifestyle for me more than anything. If I had to categorize what I like about it, the freedom is the best thing. I’ve created my own business, so I have the freedom to choose how I want my days to go. So, I guess being an expat isn’t just about traveling—it’s a lifestyle for me. I don’t know how to get into that without being super specific. 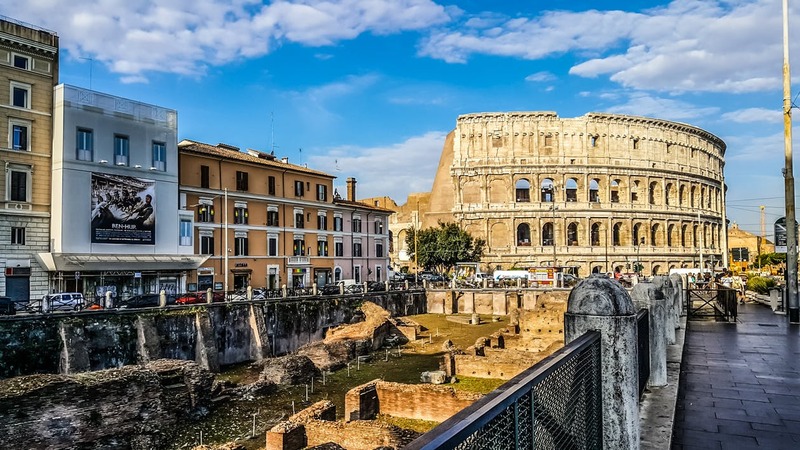 What do you like about Rome, or Italy in general? Italy in general is fantastic. Italy has been very, very good to me. I moved here to study photography, and I moved near Rome because the architecture is a very good place to study photography with. I don’t know English anymore, sorry. [laughs] But yeah, the thing that I like most about Italy, for sure, is the mountain ranges. What do you dislike about Rome? Is it just the hustle and bustle, and the traffic, and the people? Everything. I don’t like cities. I’m not a city girl. I like the quiet. I like being alone. I like my peace, and I like to take my time. And just cities are. . . somebody with anxiety—it’s like a trap for people with anxiety. What about the cultural differences between Italians and Americans? What do you like about the Italian culture? And what differences have you noticed? What haven’t I noticed. I am relaxing a little bit more. I’ve been a very serious person most of my life, and it’s teaching me how to relax and not be so concentrated in the moment all the damn time. Language barriers more than anything, I suppose. That’s the typical answer I hear from most expats. What was it like when you first got there? Has it gotten better? Yeah, it’s definitely gotten better! I’ve been here two years, and I’m learning Italian. It’s gotten better, but when I first got here, I noticed that my responses to things are very different culturally than how a typical Italian responds. So, really, I actually think it’s more the shock of them reacting to me, than me reacting to them. Because I’m an American. We’re just used to certain things and reacting a certain way. —That’s not exactly. . . what you find in Mexico is a bunch of loud partiers. Exactly. And all the jokes are very witty and dry. And it’s a very passive aggressive culture. Oh I know! I’ve watched plenty of Monty Python. [laughs] I don’t! Haha! Do you want the honest answer, or the marketing answer? The honest answer is: I don’t care. I don’t mind being alone. I used to have moments where I felt lonely, but I don’t mind being alone. I should backtrack. I used to have moments where loneliness set in, but it was very rare and, um, I haven’t had one of those moments in a very, very long time. I don’t mind being alone, but loneliness doesn’t really catch up to me either these days. I only usually need three people in my life, and that’s: my mom, my brother Kyle, and the significant other in my life. I’ve never felt a need to go seek out more than that. That’s understandable. What have you learned from traveling? Have you grown? Yes. . . What have I learned? Um. . . They are such big broad questions! How do you answer stuff like that? I think that most people, when they travel, their qualities—positive and negative—tend to amplify (especially if they’re solo travelers), when they’re alone. But if you focus on the good aspects of your personality and you allow those to flourish, I think that travel can be enormously successful for a lot of people. I suppose the thing that I’ve learned most is how to amplify my independence. What about challenges? Practical challenges like taking the train in a different language for example? Getting around and being forced to ask for directions? I’ve never had a problem with that. I am a genius when it comes to directions. I do not get lost. I always tend to know where I am. So, I never have a problem, or a practical issue as far as directions are concerned. I’ve never had a problem taking the train either. What practical problems do I have? Whenever I have a practical problem, if I am alone I tend to giggle it off and find a different resolution to it. So I don’t really focus on the problem itself, I guess. . . I dunno! I’m not really sure how to answer that. What about building your own business? Have you learned anything from building your own business? Definitely. It’s the hardest anybody will ever work, but I have the freedom. Freedom is the number thing that I covet, and being able to respect my own freedom, and to really learn the value of my time has been kind of eyeopening. . . ‘Cause I used to play a lot of video games. Well you’re allowed to play a lot of video games. Would you recommend the expat life? And if so, to whom? I don’t know. It all depends on the personality. I mean, coming from me, I don’t mind the expat life—especially as a solo traveler—because I don’t mind being alone. I do get comments about people who travel with their wife or their kids, and it’s just a completely different aspect—but people are still able to make it work! So I would say, if you have any desire to go see the world, then yeah! It’s an eyeopening experience! I would recommend that people have a certain capacity for patience, because if you don’t keep an open mind as you travel, it’s going to be a negative experience. What do you mean? Do you mean as in culture shock? Differences in cultures? Not necessarily, just your day-to-day problems where you have an issue. If you can’t giggle at it, and find a different resolution, you might find yourself disliking the choice to travel.